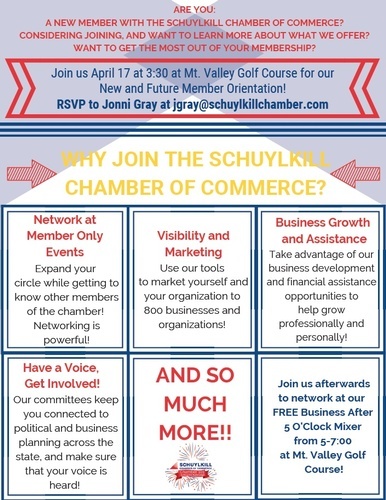 Have you ever thought about joining the Schuylkill Chamber of Commerce? Did you recently join the Schuylkill Chamber of Commerce? Want to make sure you're getting the most out of your membership? JOIN US for a presentation which reviews our membership in detail - and then stay after for our April Business After 5 O'clock mixer!